This Slam Lock w/Inside Release (#510.1415.00) is designed for WHITING®'s dry freight series door models & the HingedTRUSS II™. 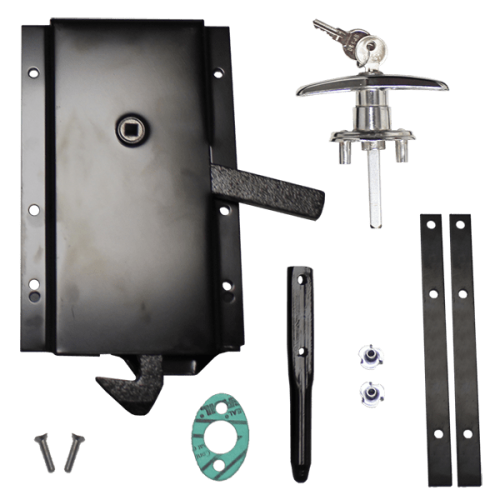 Comes complete with (when ordered as a door option) locking T-handle w/keys, mounting components, and guide pin for extra security. If ordered as a parts option, only the #1415.4 Slam Lock is supplied.